The option to have facial dermal fillers has never been more varied. Patients can get these anti wrinkle dermal injections at a med spa, nurse, OBGYN, emergency room doctor, dermatologist, plastic surgeon, facial plastic surgeon, or other types of doctors who might offer these treatments. It is often difficult to find a facial plastic or plastic surgeon that does facial filler procedures. 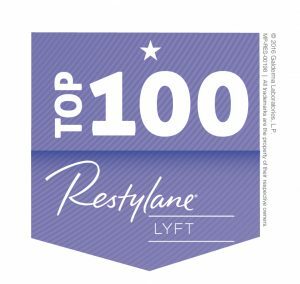 As a cosmetic plastic surgeon in North Carolina, I love performing facial dermal filler injections at my practice. A beautiful face cannot be defined like a word in the dictionary. It cannot be “googled” or taught in a classroom. The aesthetics of a beautiful face is a combination of balance, proportions, angles, light and shadows. All of these qualities have infinite possibilities. These qualities are why there are not two faces that are exactly alike (including identical twins). The science and anatomy behind aging changes is complex. Understanding how the different levels of the face age are vital in my approach and recommendations for facial rejuvenation. The levels I assess are the skin, muscle, fat and bone. Anti wrinkle dermal fillers are an excellent tool to reverse the aging changes in bone and fat level. As we age, we will lose both fat and bone in the face, resulting in a loss of definition and face skin sagging. Re-voluminizing the face in the correct location and depth on the face can re-create definition, lift the facial tissues, and reduce wrinkles. Dermal fillers are also fabulous options for patients that are looking to enhance their facial features. Not all patients having dermal filler injections are aging, but they are seeking options to enhance their appearance. In this blog, I will discuss why I love performing facial fillers, my approach and methods to these anti wrinkle injectables, and common locations I inject fillers and their results. 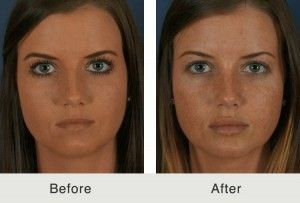 A reason I went into facial plastic surgery is my fascination with facial aesthetics. The face is like an interlocking jig saw puzzle. All areas of the face are somehow connected and influence other areas of the face. For example, the eyebrow position will affect the shape of the upper eyelid and the perceived forehead size. I enjoy analyzing the shape and features of my patient’s faces. I assess the complex interactions of the facial features and combine that with knowledge of facial aging and anatomy. After I listen and understand my patient’s concerns and goals, I can use facial dermal fillers to change the balance and the interaction of light on the face. I feel I can subtlety mold the face to create a beautiful and natural result. I love working with my patients to achieve these changes. I view facial fillers as an art. In my opinion, the great facial injectors are able to critically analyze the complex shapes and interactions of each facial region and understand how adding additional volume will change facial appearances. This is the process that I love about facial injectables. There are a variety of techniques injectors use for facial injectables. Some injectors use needles while I prefer to use a blunt tipped micro-cannula. A needle is sharp and typically the needle used for injectable fillers is short. This requires the injector to make many needle pokes in the face. Because the needle is sharp, if it gets near a blood vessel, it has a high likelihood of traumatizing it. Traumatizing a blood vessel will cause a bruise and increased swelling. 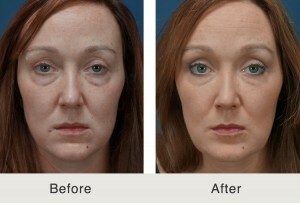 For more information on anti wrinkle dermal filler, visit WebMD.com. A blunt-tipped micro-cannula is longer than a needle and rounded at the end. Since it is longer, it does not require multiple “pokes” in the skin. Since the cannula’s end is blunt, it has a lower likelihood of damaging a blood vessel during injections. For this reason, I believe micro-cannula technique for injectable fillers results in less bruising, pain, and trauma. I also believe the technique is safer than the needle technique. Temples – The temples will lose volume and create a narrowing in the face’s upper half..
Cheeks – High defined cheekbones are universally beautiful. Creating a smooth cheekbone coming out from the face is universally well accepted. Tear Trough – The tear trough can create the appearance of circles or bags underneath the eyes. Adding volume to this area can smoothen or remove the under eye bags. Brow region – Injecting deep into the eyebrow can subtlety raise the brow. Upper Eyelid – In a hallow, deep, and sunken eye, fillers can be placed to improve the shape of the eye. Jawline – Injecting the jawline can shape a long, straight, and strong jawline. Chin Augmentation – Injections in the chin can strengthen a weak chin. 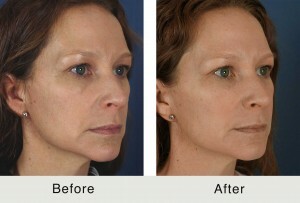 This is a great option for patients that are not ready for a chin implant. I inject all of my facial fillers at my office in the Southpark region in Charlotte, North Carolina. To make a consultation, use the online contact form here or call (704) 842-3644. Next, read about Cheek Augmentation.